Nick received his B.A. in Political Science from Michigan State University and his J.D. from Thomas M. Cooley Law School. 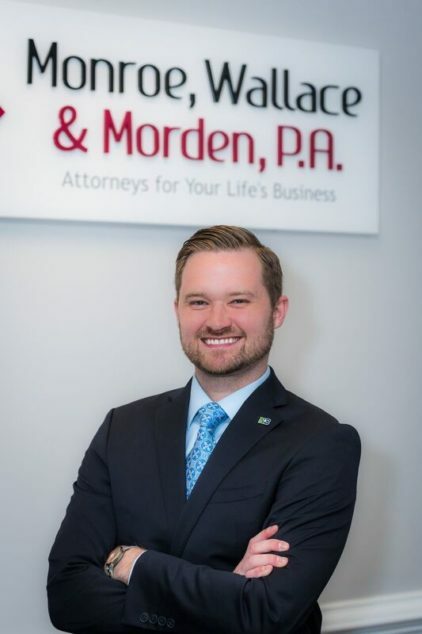 Nick joined Monroe Wallace Law Group after serving three and a half years as an Ex-Officio Judge of Probate and Assistant Clerk of Superior Court under the Honorable Lorrin Freeman, where he simultaneously supervised the Estates Division. After his service in the Clerk’s office, Nick spent nearly a year as a Wake County Assistant District Attorney gaining invaluable trial experience and furthering his knowledge and expertise in litigation. Nick also teaches an Estates and Trusts class at the Meredith College School of Business–Paralegal program. Nick’s practice focuses on guardianship and estate administration, estate planning, wills, trusts, and elder law and planning. In his spare time, Nick is an avid sports fan and enjoys golf and attending the Carolina Ballet with his wife Britney.